And yet, in spite of these numbers, humans have yet to identify any signals from intelligent aliens. The prescient question that the physicist Enrico Fermi posed in 1950 – “Where is everybody?” – remains unanswered. 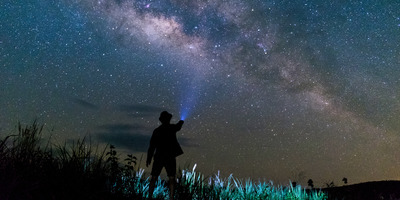 However, a study in The Astronomical Journal, which we learned about from MIT Technology Review, suggests humanity has barely sampled the skies and thus has no grounds to be cynical. “We haven’t really looked much,” Shubham Kanodia, a graduate student in astronomy who cowrote the study, said during a NASA “technosignatures” workshop in Houston on September 26. M. Weiss/CfAAn illustration of a radio-beam-powered light sail on an alien spacecraft. 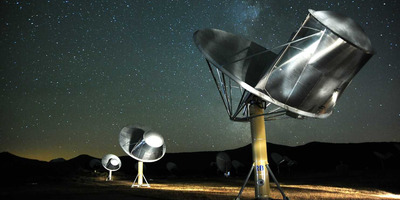 The group agrees with the well-known SETI astronomer Jill Tarter, who said in 2010 that it was silly to conclude intelligent aliens do not exist nearby just because we haven’t yet found their beacons. Even if such signals exist and are aimed right at Earth, her thinking goes, we’ve scanned so little of the sky and may not be looking for the right type of signal, or for long enough, to find them. In their study, Kanodia and his colleagues built a mathematical model of what they considered a reasonable-size cosmic haystack. Their haystack is a sphere of space nearly 33,000 light-years in diameter, centered on Earth. This region captures part of Milky Way’s bustling core as well as some giant globular clusters of stars above and below our home galaxy. They also picked eight dimensions of a search for aliens – factors like signal transmission frequency, bandwidth, power, location, repetition, polarization, and modulation (i.e., complexity) – and defined reasonable limits for each one. 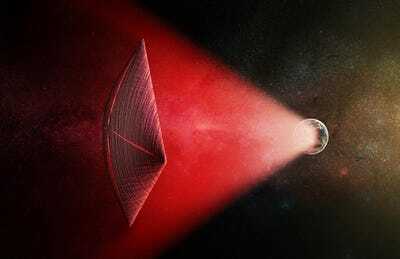 The researchers determined that humanity’s collective search for extraterrestrials added up to about 0.00000000000000058% of the haystack’s volume. “That’s the purpose of this haystack … to help better inform future search strategies,” Kanodia said. He also noted that the team’s calculations assumed there was only one alien civilisation within range of Earth. But more than one may exist relatively nearby. Another group of scientists, this one at Oxford University, recently took a different approach to the question of aliens. Instead of focusing on the likelihood of finding technosignatures that could be detected, they examined the likelihood that intelligent alien life existed at all. The Oxford researchers examined dozens of authoritative studies about variables in the Drake equation. 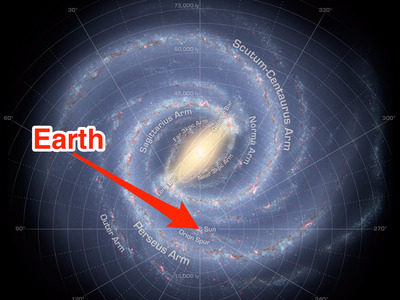 The team then analysed the results and calculated a bleak 2-in-5 chance that humans may be entirely alone in the Milky Way galaxy.